KUALA LUMPUR: Tenaga Nasional Bhd (TNB) president and chief executive officer Datuk Seri Azman Mohd said the utility group is in the midst of its due diligence process and will submit its application for the 4A power plant project in Johor to the Energy Commission (EC) by March 15. He said TNB is finalising the costs and details before submitting the application to the EC. “The costs would be comparable to the benchmark set by the EC,” he said after the group’s Chinese New Year luncheon yesterday. Project 4A, which was awarded through a direct negotiation basis by the EC, is a contract to build a new 1,000mw to 1,400mw combined cycle gas turbine (CCGT) power plant in Johor. It was initially awarded to a three-party consortium led by SIPP Energy Sdn Bhd, in which the Sultan of Johor has an equity interest, with the participation of YTL Power International Bhd and TNB. It is learnt that the consortium has been late for the submission of the document. The delay has cast uncertainties on the power plant project. The Edge weekly had on Feb 9 said the consortium was applying to the EC for an extension of two months for the submission of documents for the project. Project 4A is scheduled to be operational in June 2018. YTL Power had announced its withdrawal from the 4A power plant project last year. Meanwhile, Azman clarified that electricity tariff rates do not always move in tandem with crude oil prices. He noted that crude oil price movement is not the primary factor affecting electricity tariff rates as it depends on costs and the fuel used by the national utility company to generate electricity. “At the moment, crude oil price is low but I think there is always a misconception that when crude oil prices go down the cost of power generation also goes down. We have to actually look at how we generate power. “We generate power using gas and coal and we do not generate significant amount of power with oil at the moment. So if crude oil prices go down but gas prices remain the same there is no difference. But coal prices are low now so there are some savings there,” said Azman. Crude oil and natural gas prices have fallen more than 50% since mid-2014 to US$60.57 per barrel and US$2.66 per million British thermal units, respectively. However he noted that if fuel costs go up, then there may be a revision on tariff rates. 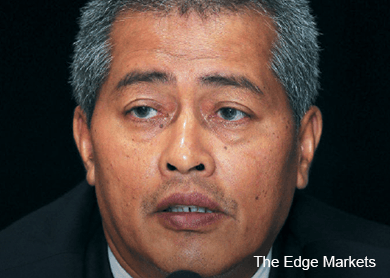 “We are neutral on that because under the incentive-based regulation that we have at the moment, any changes in fuel cost will be passed through for TNB, which means that if the fuel cost goes down, then the customers will benefit because they will get the savings,” Azman said. In mid-February, the Energy, Green Technology and Water Ministry (KeTTHA) announced that electricity tariff in Peninsular Malaysia would be revised downward by 2.25 sen per kilo watt hour (kWh) from March 1 to June 30. The latest adjustment is equivalent to a 5.8% reduction to TNB’s (fundamental: 1.3; valuation: 1.8) average tariff which is 38.53 sen per kWh. Citing lower fuel cost, the ministry said that cost savings under the imbalance cost pass-through (ICPT) mechanism can be channelled back to consumers in the form of lower tariffs. Meanwhile, Azman is of the view that TNB’s upwardly revised takeover offer price for Integrax Bhd by 50 sen to RM3.25 a share as fair. “We think that it’s a fair offer. Of course when we make an offer it’s based on what we think is a fair assessment,” said Azman. He added that TNB is currently awaiting Perak Corp Bhd’s shareholders to accept the offer at the latter’s extraordinary general meeting on March 27. Perak Corp (fundamental: 1.9; valuation: 1.2) holds a 15.74% stake in Integrax via its wholly-owned unit Taipan Merit Sdn Bhd. Should Perak Corp shareholders accept the offer, it would lift TNB’s shareholding up to 38.86%. For the takeover offer to be unconditional, TNB will have to obtain at least 13% of the remaining shares held by Integrax shareholders and gain at least 51% control of the port operator. Amin Halim Rasip, Integrax’s largest shareholder and deputy chairman, who has been resisting TNB’s offer as he deems the offer price as low, earlier this week increased his direct interest to 1.06% from 1.02%. His indirect interest remained unchanged at 23.09%. Note that TNB yesterday acquired an additional 2.3 million Integrax shares at between RM3.23 and RM3.25 apiece for a total of RM7.5 million, raising its stake to 24.88%. To recap, on Jan 9 this year, TNB made a takeover offer for the remaining shares it did not own in Integrax at RM2.75 a share. The offer price was raised last week to RM3.25 after Integrax’s major shareholders argued that the initial offer was not high enough. The Edge Research’s fundamental score reflects a company’s profitability and balance sheet strength, calculated based on historical numbers. The valuation score determines if a stock is attractively valued or not, also based on historical numbers. A score of 3 suggests strong fundamentals and attractive valuations. Go to www.theedgemarkets.com for details on a company’s financial dashboard.